this technology is much hyped before the official launches, and hence the competition for companies working on this technology is quite high. 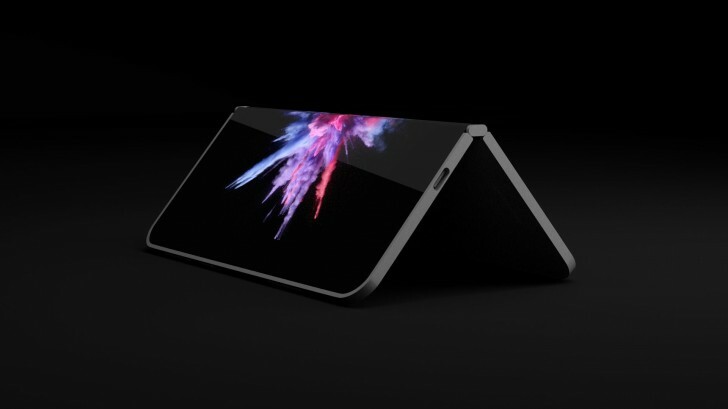 The foldable phone by Microsoft is already in talks from few months now, According to a new book called Beneath a Surface, the Andromeda folding phone will be one of the Surface devices planed for next year by the Company. There will be new Xbox One devices i.e Xbox One console and Surface laptops powered by AMD chips, upgraded Surface Studio and something similar to iPad Pro 12.9 with USB-C port, thin bezels and rounded corners at the front, expected to get launched by the end of 2019. Lastly the book mentions about smart speakers which are categorized in ambient computing devices. These are invented for the people who remain stick to their Mobile phones for various tasks. We’ll have to wait and see what innovation does Microsoft bring in the Folding phone hype and its other products, so stay tuned with Alloftop for more updates on the same.